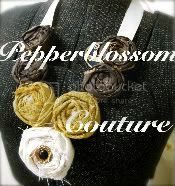 pepperblossom decor: Give-a-way and a big Thanks Gals!! Thanks to all those who came out to the Market! We had a lot of fun and loved seeing you! 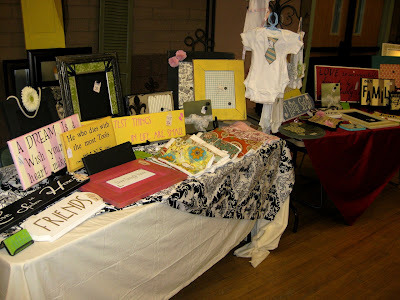 We also met some awesome new vendors who we will be hopefully participating in our open houses! And to any new people we met... We hope to see you again! For our next give away, You can only enter at the open houses (sorry out of towners, we will have a give-a-way for you soon). Enter to win 2 tickets to see the midnight showing of New Moon from the "Twilight" Saga! By the way... I does the word "saga" bother anyone else? Why not "series" I dont know but anyway, All you have to do is visit our open house and enter your name! Were so excited! Yes, well atleast one of us is a twilight Obsessee. Anyway come and enter to win, no purchase neccesary! Check back for info on our vendors for the 26th! We will be doing some great features on them so you can get to know what your looking forward too! Ciao Amigas! Everything was absolutely darling! It was nice to meet you and see all of your cute things! It was fantastic to meet you, Amy!! I hope we meet up again soon!